I’m taking my health back. It’s high time. 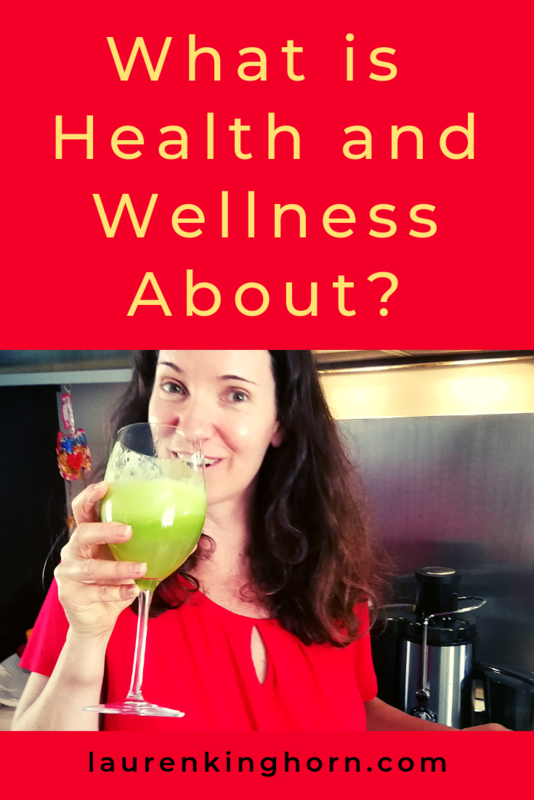 I know what health and wellness is about because I’ve spent more than half my adult life in the health and wellness industry. Yet I’m 46-years old and I’ve let myself go. I’ve slipped into bad habits. Who has the time to exercise when you’re running 3 websites, a household and running after a 5-year-old? How can I say no to a second helping of my hubby’s food when it tastes so good? How will I get everything done if I don’t wake up at midnight and work until 3 am? Limit my coffee intake? Noooo… Everyone knows coffee is the fuel that drives Moms. Drop my evening glass of wine? Nooooo… that’s how I transition from Mommy to wife. Where do I find 20 minutes in my day to meditate or journal? How can a Mom Blogger NOT be on her phone and laptop all the time? Digital Marketing is my life. And my livelihood. But those are not reasons. They are excuses. They are an illusion, my mind playing tricks on me. There is another way. And it’s time to find it because I can see what years of neglect is doing to me. Not paying attention to health and wellness has changed the way I look, the way I feel and the way I feel about me. And if I continue on this path, it could have much more serious effects. Bottom-line: I’m indoors, on my bottom, blogging more often than I’m not. And it’s showing on my bottom. And on my hips and waist-line. And even in my face. Ugh. My face looks fat in pictures. I don’t recognise me. I’m getting frumpy. I’m looking more and more like a housewife every day. My hair is frizzy. My skin is lack lustre. My finger nails are chipped. I have that unkempt look. And it’s showing up in niggly little health problems. Getting coughs and colds more often than I should, followed by fever blisters. Ouch. A funny, constricted feeling in my throat when I eat chocolate, bread or pastries. Food allergies are mounting. Lethargy. My son asks me to jump on the trampoline with him and sometimes I just can’t. All I want to do is lie on the couch for a while. When I get up it sometimes, it feels like my back can’t straighten properly anymore, like I’m walking arched over. And my back aches. And sometimes my hips. I climb out the car and it feels like I’ve put my back out. I can’t walk for a couple of minutes, the pain is so intense. Headaches on the increase. And the occasional debilitating migraine. It’s also showing up in my mood, my frame of my mind. I’m not myself. I’m increasingly irritable, short-tempered and I shout a lot. I jump from one task to the next. I’m easily distracted. I forget things. Does this sound familiar? Or is it just me? These little health challenges start creeping up on you, don’t they? We call it ageing. We say it’s normal. But it’s not. It’s a bunch of poor lifestyle choices piled up that slowly start eroding our vibrancy. I remember reading somewhere that what happens as we age is we become less and less active. As our lives become more sedentary, we start packing on the kilos. Very slowly. So slowly we barely notice. If we pack on a mere 1kg a year, that adds up to 10kg’s a decade. Which explains why when you’re in your 20’s you can be lovely and slim and still get away with it in your 30’s. But in your 40’s and 50’s you’re now 30 or 40 kilos heavier than you were in your 20’s and feeling it. And what if you’re putting on 2 or 3kg’s a year? So in January this year, I started taking back control, gently. Tackling issues that were bothering me, one at a time. Choosing new, positive health habits I could incorporate into my life. I started saying Yes more often to my son when he asked if I would jump on the trampoline with him. I invite him out for walks more often. I park further away from his School so we can do a short hill-climb on the way in. Little changes. I mentioned my food intolerances to my friend, Lucy and she told me she had started juicing celery and it had cleared up her allergies and she was feeling better in her clothes. I figured that would be really easy to incorporate into my everyday life. 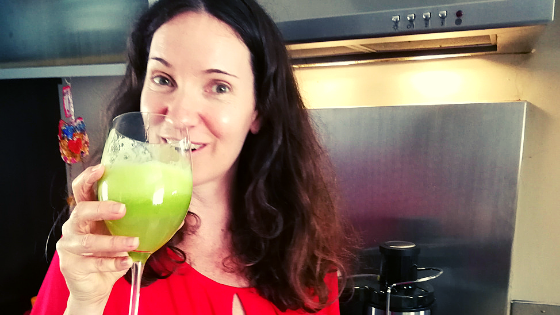 Juicing veggies is not new to me but I’d never juiced celery before as it’s not one of my favourite veggies. So I make my veg juices with celery as a base and add pineapple, carrots, ginger and beetroot, depending what’s in the house. A few times, I’ve added spinach or cucumbers into the mix too. Drinking my veggie juice out of a wine glass dupes me into thinking I’m having a glass of wine. And most of my mixes taste better than wine (some combinations have been a bit yuck, I must confess). I’ve been weaning myself off bread and pastries for a good few months and I decided it was time to cut out gluten altogether. Chocolates were the next thing to go. Because I felt these were the things that were making me feel bad (the bloating and that horrible, constricted throat thing). Then I noticed that most sweets made me feel yuck too, so I gave up most of them too. It took me a few months longer to let go of my evening glass of wine. And I only did it because I found it unfathomable that I could eat no bread, biscuits or chocolates and STILL not shift the weight. My new mantra: wine is for weekends. I was 2 weeks into this new plan: no gluten, no chocolates, no sweets, no wine during the week when an amazing thing happened. My friend and fellow blogger, Sharon Atkins aka Super Shazzer just completed her Wellness Coaching Course and offered me 12 Weeks of Free Coaching. Woohoo! What a win! And Sharon’s Coaching is super gentle and gradual, just the way I like it. Yet the results have been astounding. I’m only one week in and I’ve already lost 2.2kgs and 0.5cm’s around my waist. The remarkable thing is that we only made one small change in Week 1. Sharon recommended I reduce my sugar intake in my coffee, very gradually, by adding just a few granules less each cup. I was drinking 2 to 3 cups of coffee with 2 heaped spoons of sugar per cup. I decided it was too complicated to do it that slowly so I just dropped down to 1 spoon of sugar per cup from Day 1. I’ve been having my coffee with cream instead of milk for a couple of years because I don’t like the taste of milk. I was interested to discover that cream is a better option than milk because it has fewer carbs. Who knew? I also became aware of how often I was drinking coffee and opted for Rooibos Tea instead of coffee a few times. I don’t drink milk, cream or sugar in my Rooibos so it’s a great substitute. Sharon is also a Certified Banting Coach through The Real Meal Revolution (RMR) so she introduced me to some of the basics of RMR last week and signed me up on their website. The Real Meal Revolution is a low-carb diet, similar to the Keto Diet. They recommend eating meat, healthy fats and veggies and reducing or eliminating starches and grains. With this awareness, I tried wherever possible last week to skip adding carbs to my meals. I had my bolognese without the pasta, I had my steak and salad without the chips. I even had a burger without the bun when we out for a meal at Roco Mamas on Friday night, I did steal a couple of my hubby’s chips though. The thing is, I haven’t been that disciplined this week. I really just raised my awareness and decreased my sugar intake and results have been encouraging. 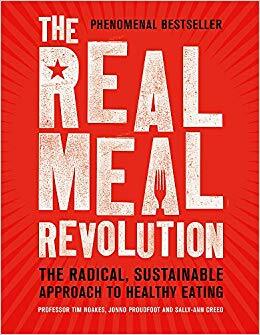 There are 3 ways to join the Real Meal Revolution. 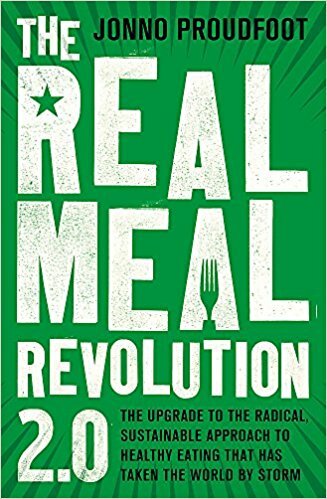 Buy one of the Real Meal Revolution Books. I’ll keep you posted on my Health Coaching progress each week and share some more tips and views on Health and Wellness.